Categories: Performance Light, Stage Light Accessories. Tag: Clamps. 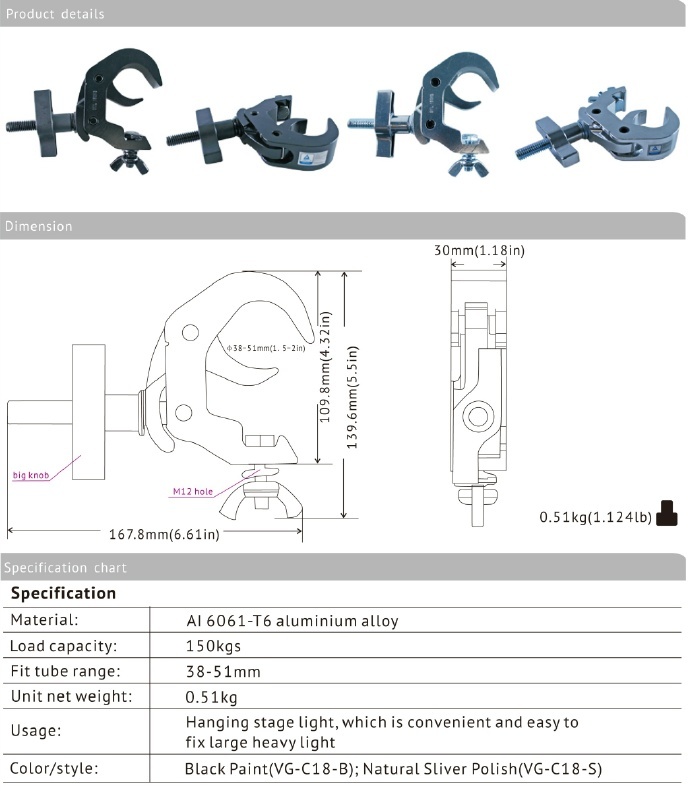 This is a stage light clamps for the heavy and large moving head light and other professional lighting fixtures. This clamps use the AI6061 as the materials, have heavy bear capacity, and has passed the TUV certificated.